Hable are a Microsoft Global Training Partner and one of only three worldwide able to deliver Microsoft’s Project Management Resource Kit. 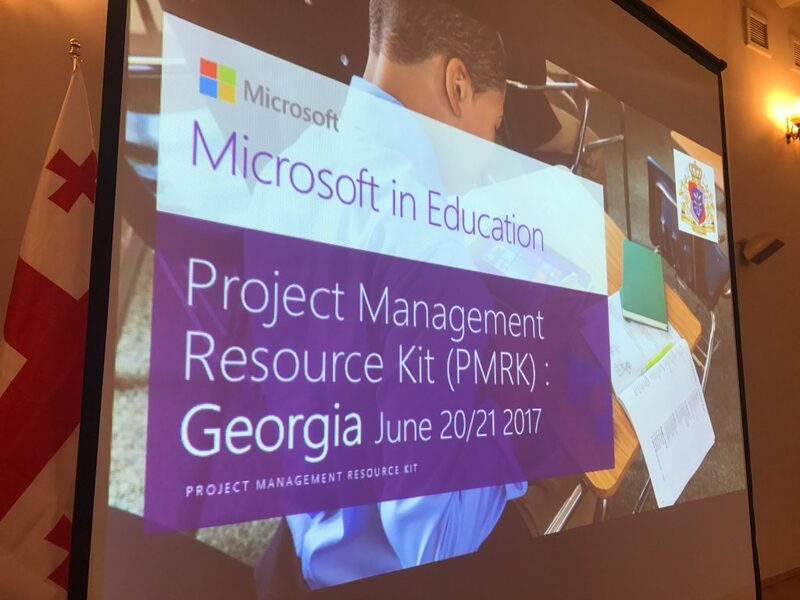 Though perhaps not particularly snappily titled, the PMRK is a comprehensive collection of resources and tools to make large scale device deployments in education a success. Such deployments often involve lots of people, all with important and specific roles. There are those with the overall plan for the project, technical teams, developers, school leaders, teachers, manufacturers, publishers and resellers – to name but a few! Great plans can often come up against old adversaries – communication between separate teams for example. In Georgia, the Ministry of Education already has a successful device project that since 2011 has seen them give a device to every child in the country as they start school. The project has already been very successful by various measures: all the devices given to the children can be used in school and at home; it is popular with parents and children; and there are some very talented people at all levels who are committed to the success of the project. However they have ambitious plans to move the project forward; more and more schools in Georgia have access to high speed Internet access and in-school Wi-Fi connections which has opened up a new world of possibilities. The project team wanted to work more closely together as these changes occur, to understand better the parts of the process, bring school leaders – and, crucially, teachers – on board to make best use of the devices in the school environment. It unites them in one common purpose and has resources to empower the team to design a process that will work, think about the technology involved and how developments may affect the future. 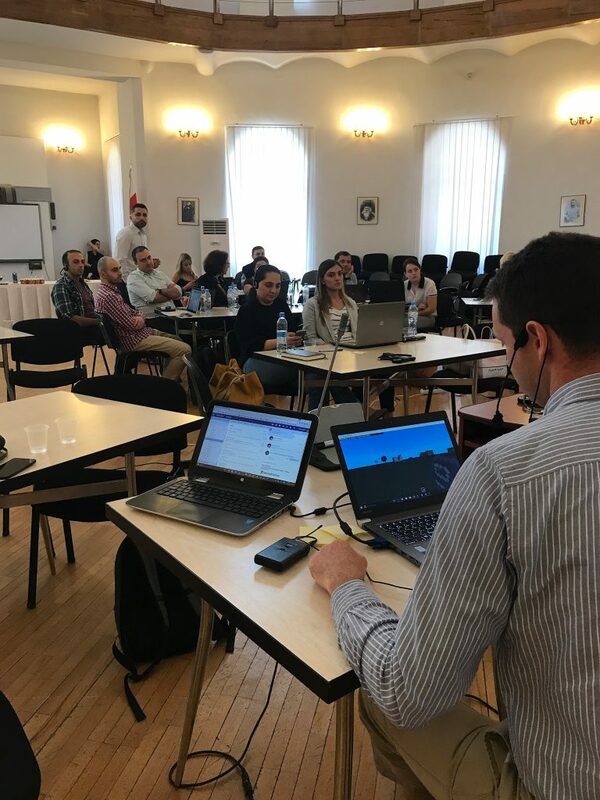 In working with Hable, the group were able to form a “virtual team” (teams who work together, but don’t report to the same person or department) where everyone has a clear role and a responsibility and are aware of the other jobs in the project. We also used our experience in this area to introduce the idea of a steering group made up of teachers, headteachers and project staff to help shape the next steps and to feedback what went well and what needs adjusting. 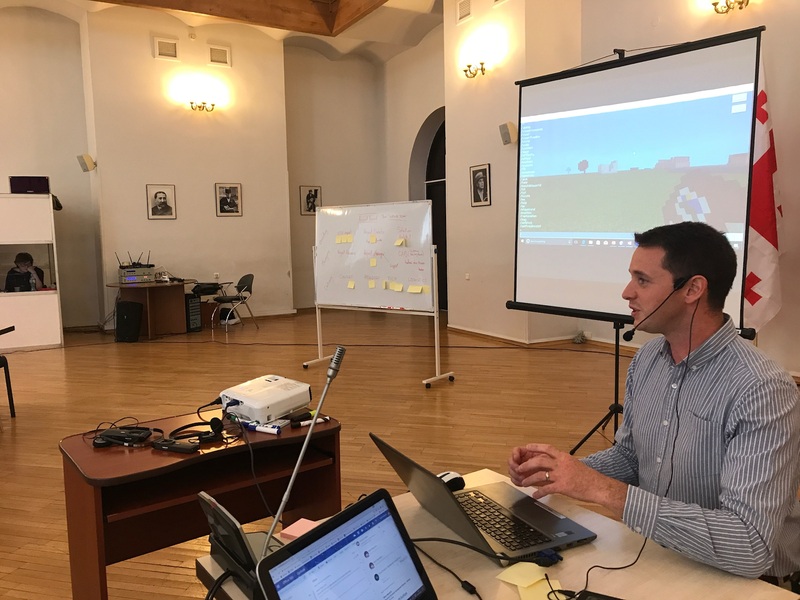 Looking at new technologies was also an important part of the workshop and we looked in some detail at new offerings in Office365 such as Teams for Education, Sway, and Minecraft: Education Edition. We helped them to understand how using the resources in the kit could make this exciting project more successful in the future and ultimately provide the best experiences for their young people. I do regret that we didn’t have more time to explore the wonderful city of Tbilisi – we did have time to sample some wonderful Georgian cheese and wine though!